Have we found the luckiest woman in the UK? Early July might seem like a lifetime ago now (especially with how cold and wintery it’s now getting) but it was certainly a month to remember. Along with the hot weather and the World Cup, we also set up National Competition Day on July 7. We ran a massive 77 competitions for our users, with amazing prizes to be won. And the two biggest of the bunch were a Helicopter ride and a TOSHIBA 55″ Smart 4K Ultra HD LED TV. So of course, everyone was excited at the prospect of winning one of our sought-after prizes and with 58,000 entries overall, you were lucky to be a chosen winner! But Natasha Gower from Seaford couldn’t believe her luck when she won both the Helicopter ride and the TV! The chances of one person winning the two top prizes were a minuscule 1 in 4.5 million! Of course, our CEO, Chris Hill, was convinced that there was a glitch in the software that randomly selects the winners. Never in the history of the company has it happened before, so our entire tech team were burning the midnight oil to look for possible ways in which the system could be cheated. And yet, it was purely some kind of miracle. No cheating, no glitches – just sheer luck. Natasha really had miraculously won the two top prizes. Is she the luckiest woman in the UK? Intrigued by the whole situation, Chris made it his mission to meet this unusually lucky lady. 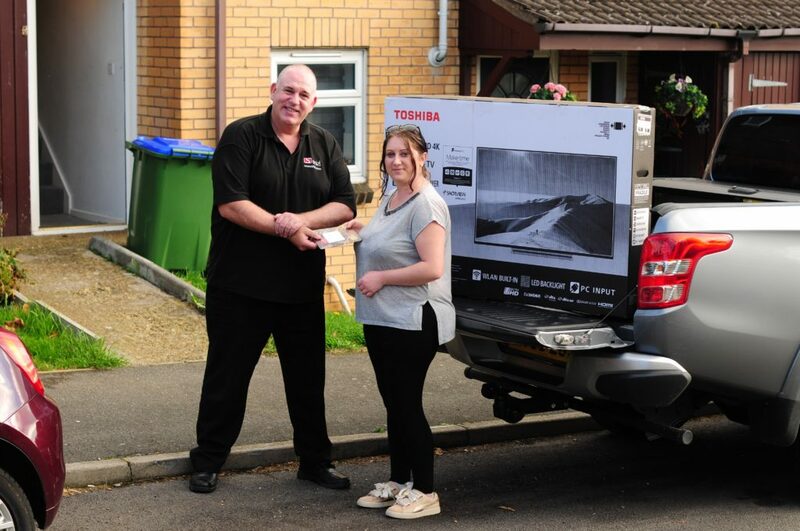 So he personally hand-delivered the prizes to her, heading off on a road trip from Nottingham all the way down to her hometown in East Sussex and it’s fair to say that she was happy with her prizes! Chris got the chance to sit down and chat to her and when he asked her how she felt about winning, she couldn’t believe it! Natasha was also shocked to hear how she’d defied all the odds by managing to win both, especially since she hasn’t even been comping for very long. Although you might expect she’s been doing it for years in order to happen upon such a lucky win, she’s actually only been doing it for a month. 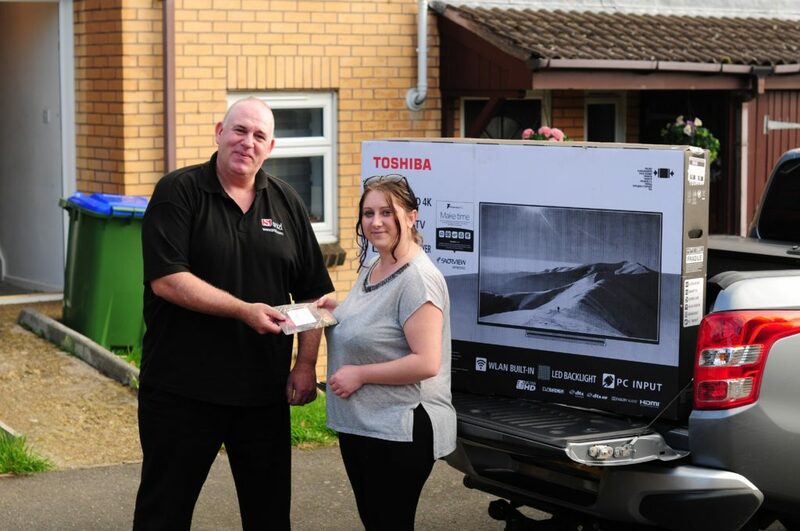 Up until now, she had managed to win a beauty set from an online company but it’s fair to say she never expected her next two prizes to be a TV and a helicopter ride! Natasha even went on to say that her luck is normally very bad, so was it perhaps beginners luck? Or is it more to do with the fact that they say luck comes in threes (these two prizes being her second and third)? Whatever it is, the important question now is which one of her friends and family get treated to the helicopter ride! While her kids excitably argued over who it would be, Natasha said that her partner, Marcus, might be the lucky chosen one, as he’s never flown before. But whatever happens, she’s definitely going on it herself, and it seems her loved ones will have to battle it out for the accompanying spot!